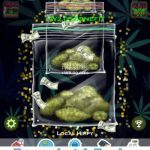 Weed Firm: RePlanted is, to say the least, a controversial mobile game for Android and iOS. But regardless of where you stand when it comes to legalizing the herb, this is a fun game (and a sequel to the original Weed Firm) where you play the role of Mr. Ted Growing and cultivate your marijuana fantasies by planting and raising new strains, fertilizing your harvests, and customizing your weed shop with record players, bongs, and other accessories to draw customers in. 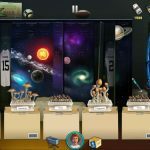 You can also interact with your stoner customers while spinning records and toking up, increasing your profits in the process, and defend your shop from criminals and policemen alike, and even “extraterrestrial” aliens. If there’s anything worse than getting busted by the cops, it’s having a hard time making progress in this game. 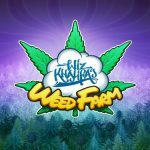 And that’s why we’ve compiled a list of Weed Firm: RePlanted cheats, tips and tricks that can help you get high – up the leaderboards, that is. Like any other plant, marijuana can only grow if you have water. But the thing here is that none of your water will be utilized even as the weed grows with the game minimized or turned off. What you can do instead is to plant your weed, then minimize or close the game for as long as it takes for the weed to grow. It won’t matter how much water you use, just as long as you use at least one bottle per pot. Alternately, you can use the time lapse cheat to make your weed grow ASAP. Set the time ahead by the number of minutes it takes a certain strain to grow, then return to the game to collect the weed. If you’re out of tasks that can be completed for experience points, you can still keep yourself busy; there’s no need to be as lazy as the average stereotypical pothead! 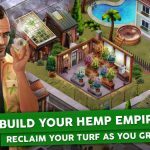 Grow and sell your weed as often and as much as possible, and you won’t just earn money, but XP as well. Also, buy the couch if the opportunity arises, as that will double the XP you get per action permanently. If you want a nice and easy way to earn cash in the game, you can go to the lower right corner of your screen and hit the button that allows you to “share for cash.” This will earn you 100 cash each time you share anything about the game on social media, including Facebook and Twitter, as well as email. But if you’re not comfortable telling your friends that you play a game where you’re a head shop owner, what you can do is hit the email button, cancel upon seeing the mail popup, and return to the game. You’ll still get your 100 cash, and you can repeat this trick as often as you want for unlimited cash, or something close to it. 4. What Other Items Can Help You Out? Aside from the aforementioned couch, there are other helpful items that can do great things for your business. The safe allows you to hide your money from the police, while the shotgun can be used to defend yourself from thugs who may try breaking in and stealing your weed.